• Mondo Amore has its genesis in a time of extreme turbulence for Atkins, a period which saw her parting ways with her former major label, Columbia Records, while also dealing with the painful termination of a long-term personal relationship. Additionally, her former backing band, The Sea, abandoned the project a week into the January 2010 start of recording the new album. Atkins dealt with these changes by returning to her adopted home of Brooklyn and eventually set to work at The Seaside Lounge Recording Studio in Park Slope. There she met producer Phil Palazzolo and agreed to work together for her next project. Atkins also collaborated with Robert Harrison of Austin, Texas’ psych-pop bands Cotton Mather and Future Clouds and Radar for the songs "Cry, Cry, Cry" and "Hotel Plaster". Atkins' goal was to create a more volatile sound than she had ever previously attempted, a sonic approach akin to such influences as Scott Walker and Nick Cave, while also touching on longtime inspirations like the blues and classic 60s psychedelic rock. The collective of musicians who assisted Atkins on Mondo Amore morphed into her new backing combo, The Black Sea, comprising guitarist Irina Yalkowsky, bassist Jeremy Kay and drummer Ezra Oklan. She described them as the best lineup she has ever played with. Nicole Atkins & The Black Sea is planning to do an extensive amount of touring for the promotion of the new album. 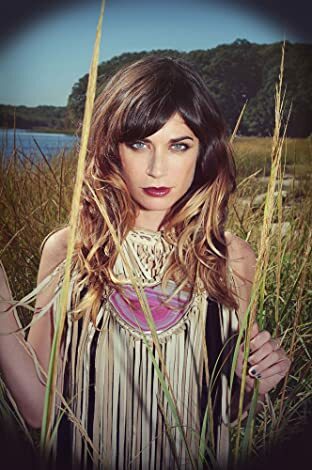 • Nicole Atkins has the sort of elegant, supersized voice that belongs to an earlier era. On 2007’s Neptune City, she set up shop in the Eisenhower years, channeling Phil Spector and Roy Orbison via a moody mix of piano-bar ballads, nocturnal torch songs, and girl group melodies. Mondo Amore continues the trend by keeping an eye on the past, but it shifts everything forward by one decade, mining blues-rock and late-‘60s psychedelia instead of Brill Building pop. Dovetailing with those new influences are three recent breakups -- Atkins’ severance from Columbia Records, her divorce from her original backup band, and a split with her longtime boyfriend -- all of which push Mondo Amore into fiery, guitar-driven, even borderline feral territory. During its quieter moments, though, the album builds upon the pretty, cosmopolitan retro-pop of its predecessor, meaning Mondo Amore doesn’t turn its back on Nicole Atkins’ roots as much as widen her sound. • That being said, this is a very different album. Neptune City was a bittersweet ode to Atkins’ hometown, shot through with nostalgia and memories of the boyfriends she left behind. Mondo Amore, with its lean, muscled rock songs and scaled-down production, is a kiss-off to the boy she met after relocating to New York. “Our love’s a dark disaster since I turned on the light,” she sings on “Cry Cry Cry,” a barbed pop tune that splits the difference between Motown and garage rock. Three songs later, an enraged Atkins -- her vocals scuffed up by a distortion filter -- stomps her way through the electric country-blues of “My Baby Don’t Lie,” threatening to give a black eye to the girl who’s been running around with her boyfriend. The outro to “You Come to Me” evokes a young Ann Wilson, and “You Were the Devil” -- with its spaghetti Western arrangement and low, ominous vocals -- takes its cues from Nancy Sinatra’s duets with Lee Hazlewood. 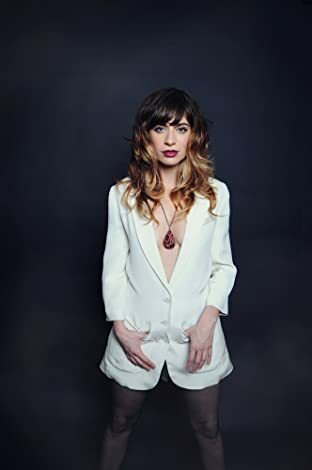 That’s a lot of musical real estate to cover, but Nicole Atkins makes the songs sound like her own property, and they all serve as a showcase for her voice: a big, hefty instrument that rarely weighs its owner down. Mondo Amore may work best as a companion piece to Neptune City -- the fast ‘n’ furious yang to that album’s soft, pleasant yin -- but it’s got more than enough raw emotion to hold its own weight.